Adolescent Wellness, Inc.: A non-profit that was founded to simplify prevention of anxiety and depression along with the most tragic symptom, suicide. Prevention is achieved by addressing the protective factors of resilience, including the teaching of coping and problem solving skills. Committee for Education in the 21st Century: Group focused on bettering public education in Wellesley. Community Investors: Non-profit established in 2014 that strives to plant the seeds for mental and physical wellness and strengthen the emotional and social fabric of adolescents at a vital time in their lives. 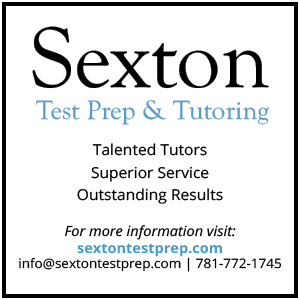 Offers/manages after-school recreational programs, offers coaching/leadership development to students/teachers, provides consulting to community-based youth organizations, and more. Friends of Wellesley METCO: A group made up of parents and teachers in the Wellesley community and parents of METCO students from Boston committed to supporting METCO students during their time in the Wellesley school system. 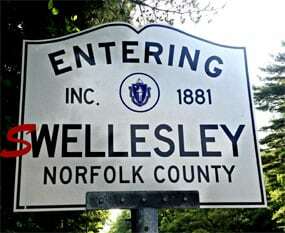 The Fund for Wellesley: The mission of the Fund for Wellesley is to promote the common good and to benefit all residents of the Town. The Fund for Wellesley is a permanent source of funding that fosters innovation and collaboration in support of community needs and opportunities. We seek to encourage a spirit of philanthropic giving to help make Wellesley a better place for its citizens in which to live, work and play. We provide ways for donors to give back and leave a legacy in their community. Health Care Without Walls (formerly Women of Means): A non-profit organization that sends volunteer medical professionals into shelters and soup kitchens in the greater Boston area to provide free care to homeless women and their children. Massachusetts Horticultural Society’s mission is to help people of all ages and backgrounds learn about and appreciate plants, gardens, and the natural world. We are located at 900 Washington St., Wellesley, on 36-acres in the historic Elm Bank Reservation, which is listed on the National Register of Historic Places. The site includes formal gardens, open fields and meadows, wooded areas, picnic tables, and our horticultural education center. The grounds and gardens at Elm Bank are handicap-accessible. We offer hands-on educational opportunities for adults and children to experience, enjoy, and learn about plants and the environment. Our gardens are open May 1-Columbus Day, Tuesday–Sunday, 10 am to 4 pm and offer daily children’s activities and garden tours. Massachusetts Horticultural Society is a 501 (c ) (3) non-profit organization supported by visitors, members, donors, and our event business. meetings for middle- and high school-aged youth from across the greater Boston area. 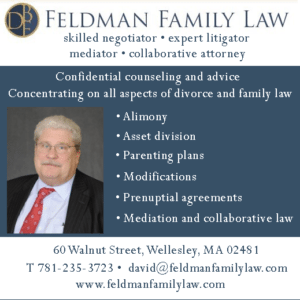 Meetings are held in Framingham, Newton, and Wellesley. Pan-Massachusetts Challenge: Organizes bike-a-thons to raise money and awareness to fight cancer. Bike-a-thons include several that finish or end in Wellesley. Razia’s Ray of Hope Foundation is a nonprofit organization that empowers young women and girls in Afghanistan through community-based education in the district of Deh’Subz. Founded on the knowledge that education is key to positive, peaceful change for current and future generations, the foundation’s K-12 school provides free education to 625 girls and is the #1 private school in the district. The adjacent post-secondary midwifery institute provides marketable skills while helping to improve maternal-fetal outcomes. Shoppers’ Corner at Schofield Elementary School: Parent-run second-hand clothing store run inside the school, with all proceeds going to the school. Pretty much open every Wednesday and every first Saturday of the month, except during school vacations. Twice a year, there’s a two-day half price sale, followed by a very popular “bag sale”. Stray Pets in Need (SPIN): Helps find homes for pets in need. Web of Benefit: Wellesley-based organization focused on liberating people from domestic abuse. Wellesley A Better Chance: Wellesley’s arm of an organization that provides services to academically talented students in underserved communities. Wellesley ABC houses students from other communities in Wellesley and sends them to Wellesley High. Wellesley Cancer Prevention Project: a nonprofit group formed in 1997 that studies the link between cancer and the environment in hopes of reducing health risk factors for Wellesley residents. The Wellesley Conservation Council is a private land trust; all its properties are open to the public. The council’s mission includes protecting and preserving Wellesley’s natural environment and maintaining its sanctuaries through the contributions and participation of residents. The WCC provides free programs every spring and fall. Wellesley Education Foundation: Devoted to enhancing, enriching and maintaining excellence in the Wellesley Public Schools. Organizes fundraisers, including annual spelling bee, and provides grants. Wellesley Food Pantry: The Food Pantry’s mission is to provide supplemental and emergency food assistance to Wellesley residents in need. Wellesley Free Library Foundation: a private, 501(c)(3) corporation supporting the mission of the Wellesley Free Library. Our goal is to enrich, not replace, traditional tax-based support for the Library through gifts, grants, and bequests from individuals and organizations, while reinforcing the need for continued and increased public support for the Library. THe Foundation spearheads major fundraising efforts to bridge the gap between the community’s aspirations for its library and assets available from municipal budgets. Wellesley Friends of Recycling: The Wellesley Friends of Recycling has general meetings during the year and participate in a number of activities and events to increase awareness of the the three “Rs” of environmentally friendly waste management. They are Reduction, Reuse and Recycling in that order. A major activity is providing support to the town’s recycling facility by organizing and staffing the “Take and Leave” section of the facility. 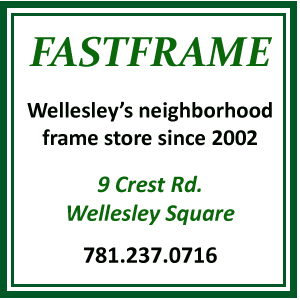 Wellesley Friendly Aid Association: Wellesley Friendly Aid works to meet the needs of Wellesley residents, offering many forms of assistance to individuals and families of all incomes and ages. Our programs include: financial aid for children to attend day camp and or summer educational enrichment programs; medical equipment loans, holiday food vouchers; emergency and hardship financial assistance; Wellesley Helping Hands for temporary, non-medical assistance during a crisis; assistance with applying for fuel assistance and SNAP benefits; partnering with Cradles to Crayons to provide clothing and other essentials to children through age 12; and support for ESL classes. Friendly Aid also hosts Friendship Circle weekly luncheons and programs for senior women in collaboration with Wellesley Service League and Sunday afternoon socials for seniors and the disabled in collaboration with the Wellesley Housing Authority. Every September Friendly Aid holds its annual Networking Forum to bring together representatives from local community organizations and town offices to discuss important topics and developments. Wellesley Hills Junior Women’s Club: The Wellesley Hills Junior Women’s has a membership of between 80 and 100 women, accepting 20 new members each year. Throughout our history, we have answered the changing needs of our town. WHJWC has served the community in various ways for several decades, through such activities as aiding children during the polio epidemic of the 1950s, assisting veterans, working with the elderly, eye screening of preschool children, distributing safety films and pamphlets, organizing a story hour at the Newton- Wellesley Hospital’s Pediatric Wing, and creating a town-wide safety day. Community service has recently expanded to include the opening and operation of a Teen Center, volunteering at homeless and battered women’s shelters, assisting the Wellesley Food Pantry, and performing with the Kids on the Block puppets. Donations and scholarships are made to groups and individuals in the Wellesley area via our four major fundraisers. In 1968-69, the Wellesley Phone Book was first published and has become our most profitable endeavor. Marketplace, a popular craft fair, began in 1974 and has since gained national attention. In 1999, members and sustainers launched the Kitchen Tour, a spring event that is widely anticipated by the community. And just last year, we launched Luminary Night in Wellesley, a winter festivity where business owners and residents alike light their sidewalks or driveways with luminaries throughout the town in unison. Through these fundraising activities, WHJWC was able to donate nearly $200,000 to scholarship recipients and local charities last year. Wellesley Neighbors: a nonprofit organization with the mission of enabling its members to remain independent and continue living at home. It provides access to practical, reliable services and social support, while fostering a sense of community within the town. Members enjoy peace of mind, independence, a personal safety net and many social activities and connections. Wellesley Parent Advisory Council (PAC): volunteer organization dedicated to serving paretns and families of children with special needs throughout the school system. Also has a Yahoo chat group. Wellesley Scholarship Foundation: Making College possible for every college-bound Wellesley resident. WSF is a community organization founded in 1951 to recognize and support academic pursuits by awarding need- based scholarships. Our donors have transformed the lives of over 3,500 worthy students, providing more than $5.5 million in need-based scholarship aid. Donations are solicited through our fall annual appeal. Your financial support allowed WSF to provide almost $280,000 in need-based scholarships to 89 students for the 2016-17 academic year. WSF also facilitates scholarship aid on behalf of many town organizations. Let us know if you can help. Wellesley Service League: The women of WSL have been providing volunteer services to the Wellesley community and beyond since 1927. The group’s partnerships include Barton Road Girls and Boys; Wellesley Friendly Aid Camp Fund; Men’s Group program, and over a dozen more groups and organizations. Membership is open to any woman 25 or older who has lived in Wellesley for at least one year, and who is sponsored by a current or former member. Members commit to 65 volunteer hours per year (averaging 6-7 hours monthly, September through June) for a period of five years. 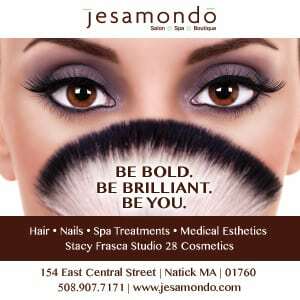 It’s a unique opportunity to support the Wellesley community while getting to know women from all over town.